On the Special Request of Molana Shoaib Naqvi and on the invitation of Muhammadi Welfare Association, World Known Scholar Allama Syed Shehanshah Hussain Naqvi is Coming on his 3rd visit of Australia. He will be delivering his lectures in Sydney from Tue 9 April - 13th April 2019. His 5 lectures will be connected with the celebrations of Jashn-e-Anwer. 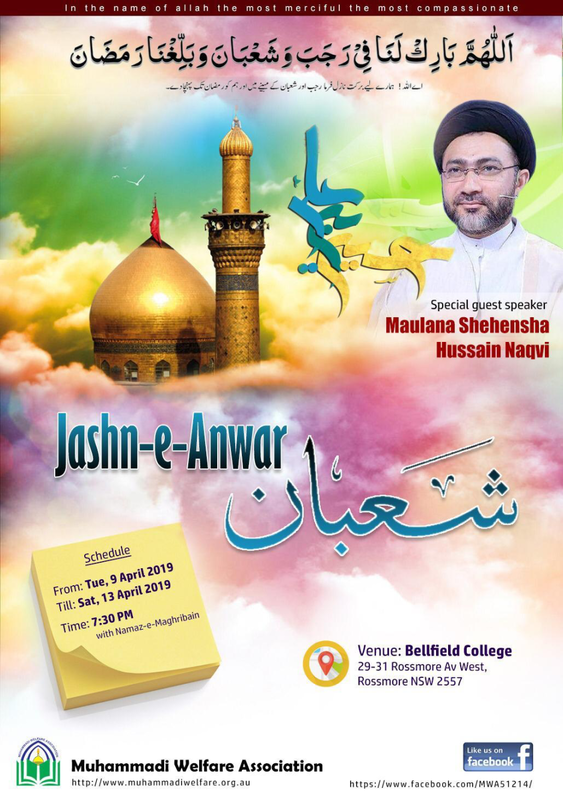 MWA announced that they having the honor of hosting Maulana Shehanshah Naqvi in the month of Sha'aban.He will be delivering speeches from 9th Apr - 13th Apr at MWA. We request you to please come on time as we intend to finish on-time considering most of the programs are during the week.We will appreciate your cooperation with the management and the volunteers. 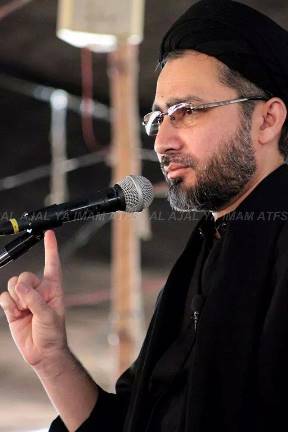 Allama Syed Shehanshah Hussain Naqvi is an Islamic scholar from Karachi, Pakistan. He is a senior member of Shia Ulema Council. He is Khateeb at Masjid o Imambargah Babul Ilm North Nazimabad, Karachi Pakistan. Syed Shehanshah Hussain Naqvi received his Islamic education from Qom, Iran. Allama Syed Shehanshah Hussain Naqvi also addresses Majalis in different countries including United States, UK, Australia and other countries. He talks about responsibility of a religious leader based on sayings of Imam (AS).In 2019, before General election in Pakistan, He welcomes Imran Khan at a Mosque and gives him a respect to be given to a higher position person by tying Imam e Zamin to Imran Khan.